Eedama organizes engaging team building field trips for you to bond with nature through experiential activities, tours, camping trips and outdoor activities to various exciting destinations. These trips will allow you to learn more about sustainability, experience real life examples, and have great fun while leaving an impact and contributing to a greener future! The United Arab Emirates is one of the world’s largest consumer of energy, especially in terms of cooling and transportation. Masdar city tries to change that problem by being a carbon-neutral and car-free space. 2. Use alternative, non-polluting and renewable sources of energy. The participants get to see a ‘real size’ sustainability experiment. They get first hand scientifically supported explanations along with several discussions that allow individuals to give their input and reflect. 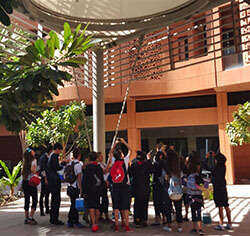 The participants engage in a treasure hunt and/or a workshop. 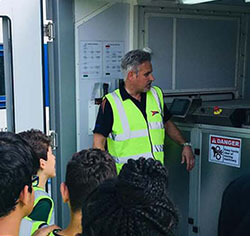 The activity involves the topics that were discussed during the tour in order for participants to apply their understanding. Kayak in the Mangroves & Make UAE Greener! The Mangroves are an important part of our natural eco-system and their survival is vital for UAE's environment. They are a source of biodiversity and are able to control air pollution by naturally filtering out industrial and other types of waste. They can also grow where no other tree can grow! Eedama, in collaboration with Noukhada Adventure Company, offers an edutainment program along with an exciting kayaking tour that highlight the importance of such eco-system. It starts with introductory pre-session at your facility, where issues related to plastic waste and water filtration are tackled in relation with the mangrove ecosystem. The next step involves the kayaking tour with Noukhada members. This allows participants to observe and explore the Eastern Mangroves National Park and identify its features. The program ends with a concluding session back at the facility where participants get to make concrete plans for making their environment greener. They start gardening and therefore support the mangroves action by decreasing the ecological footprint of their facility. Optional accommodation for the kayaking tour: The participants will camp at an island in Al Rahba overnight and will return by kayaks the next morning. Parks are important to our urban scape because they act has lungs for the city. They help in reducing heat in the city (through the so-called island effect). Also, the plants and flora help reduce the impacts of climate change by absorbing pollution. If designed well, parks can also act as conservation and restoration areas for natural habitats, and be the source of biodiversity within the city. 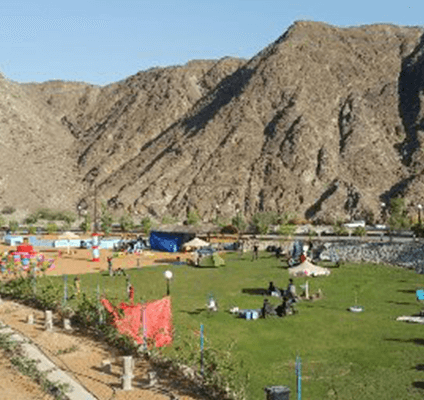 Eedama offers an edutainment trip to one of the rare parks in the UAE, Umm Al Emarat Park, where sustainability and environmental friendliness were considered. Participants will take part in an engaging tour that tackles various topics related to sustainable open spaces followed by a hand-on activity. The activity may include contests, a treasure hunt or a workshop related to any of the discussed topics. This activity also encourages the combination of education with exercise and physical health. A perfect day out, combining knowledge, wisdom, play, happiness and sensoriality! Nestled in sand dunes, Emirates Bio Farm lies in the desert, at about 50 min drive from Dubai, with its lush greenery melting in the UAE traditional landscape. In collaboration with the farm, Eedama offers engaging guided tours around the plantations. 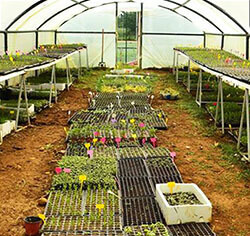 Participants will be able to learn about organic farming practices adapted to the Gulf environment. The slow food movement will be presented and discussed. In the aerated visitor's center, carefully designed workshops will embody hands-on and curriculum-based activities, not only aiming at creating awareness and knowledge about sustainable farming, but also providing some relevant skills. Depending on the weather, activities and barbecue could be organized on neighbouring dunes. The program will end with an organic hands-on workshop, using the principles of permaculture. Participants will leave with a pot that will start their urban home garden, and will soon eat their own vegetables. Reed Beds, or constructed wetlands, allow the recycling of wastewater completely naturally. The water is filtered by gravel and planted sand. Reeds take advantage of the nutrients present in the wastewater and grow very rapidly. They then attract a whole ecosystem, including migrating birds. 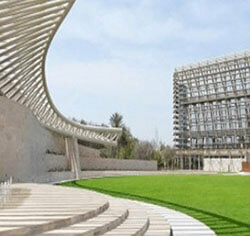 Participants will get to discuss the way water is produced and used in the UAE. They will then learn about the elements of UAE's wildlife, while being able to directly observe the animals living in their natural ecosystem. 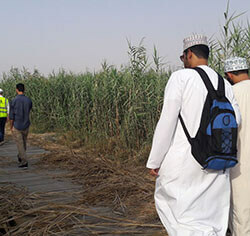 Participants visit an outdoor Reed Bed. They roam around and observe the path of water, as well as the ecosystem that lives there. Participants get to test the water at various steps of its purification. They used both paper based and electronic meters. When Soil is Explored Indoors & Outdoors! 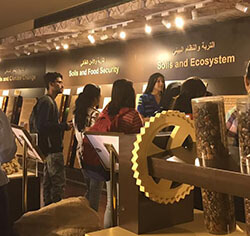 This field trip highlights the importance of soil in our lives through a guided tour at the Emirates Soil Museum in Dubai along with debates, experiments, games and exciting hands-on workshops. Participants will engage in an Environmental Audit & Inspection workshop for protecting the UAE soil. They will also leam how to make seed bombs, engaging in soil & water Analysis and end up designing a creative urban farming model to take back home. Design a creative urban farming model to take back home. Eedama offers a canoeing and hiking program in collaboration with Adventurati. Participants will leam to navigate on wet ground, jump, swim and slip in refreshing pools and will be guided all the way through this fun canyoning excursion. Eedama, in collaboration with Adventurati, offer a camping experience at Wadi Showka. Participants will be given tents, sleeping mats, and bags along with breakfast, lunch, and dinner around a fireplace on site. Campsite management and transportation to the Wadi and hiking site will also be provided. They will play various games around the fireplace and enjoy the quietness of the mountains. Camping, hiking and engaging in various games and activities on the campsite. In collaboration with Art Studio by Ethereal, Eedama offers a program entitled “Trash to Treasure” in an Art gallery and photography studio. 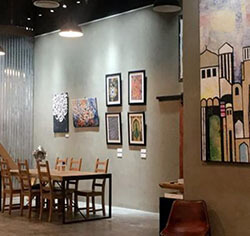 The gallery currently exhibits different forms of art but is currently moving towards showcasing more sustainable art work to support the green movement. Participants will be able to reuse material and upcycle them into art pieces thus helping with waste diversion from landfill. Participants will be able to bring their own used items to transform them into pieces of art with the equipment and reusable items found in the Gallery. Their art pieces can then be exhibited in the gallery for a time and collected later, or taken home directly. Turn your waste into Energy! Participants will engage in a clean-up to collect waste and visit the Inventive Environmental Solutions (IES) facility to get involved in recycling first-hand. After the facility trip, participants will take part in an environmental inspection contest & Up-cycling Activity. ACTIVITY: Engaging in a clean-up, recycling first-hand , environmental inspection contest & Up-cycling Activity. 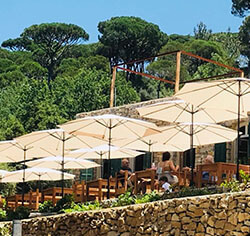 Attend the location for a company lunch in nature, made according to the village traditions with local organic and high-quality ingredients, and tour around certified organic gardens. Games in nature interacting both with plants and animals will make the day rich and diverse. A unique situation in Lebanon: a tropical forest has been reconstituted using only natural techniques, thereby creating a microclimate in the middle of the city! 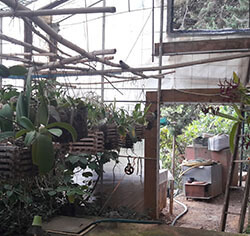 The forest features exotic plants and animals harmoniously surrounding small constructions (both habitat and greenhouses). Discover how nature can be embedded in the city! You will be able to visit an urban jungle and identify a number of plants and animals you have never seen before. Competitions will be organized to recognize the various exotic species and teams will have to help maintain the place. This place is one of the rare (if not the only) seed bank in Lebanon. A unique combination of people coming from Lebanon, France, and Syria has settled in the Bekaa in order to create a local and international seed bank, as well as a training centre and organic farm working according to the principles of permaculture. 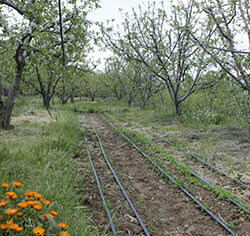 The farm is powered by solar panels that are connected to Zahle's electricity grid. Make your hands dirty! Receive hands-on training on organic farming (from bio-pesticides to compost making and seedlings) and physically help with the farm. You will have the possibility to taste an authentic meal made with fresh farmed produce and learn all about its origins. Roots of the Sky is a family farm that was completely transformed into an organic permaculture-based farm in the mountains above Jbeil. The old house is in progressive transformation and the farming happens surrounded by stunning landscapes. Visit the wondrous farm that opens doors to learning about the basics of food growing, permaculture and beekeeping. Meet the lovely farmers behind it; they will welcome you with open arms to experience their biodynamic agriculture and their applied sustainable architecture. From a piece of land situated above cliffs directly falling in the sea... A family run small farm decided to become an organic productive garden, where anyone can come, pick their own vegetables and buy them. 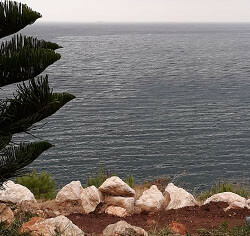 A picnic area with a beautiful view over the sea and sunset completes the gardens. 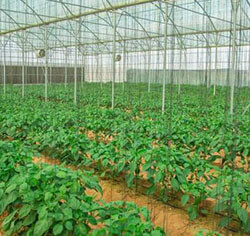 Participants will be introduced to organic farming and pick their own vegetables. A collective picnic and some light cooking will follow. Team building outdoors sporty activities will end the day. The cliffs on the road to Tannourine are becoming world famous for their beauty and their ideal features for climbing, at both beginner and expert levels. This unfortunately does not protect them, like the rest of the country, from trash pollution. 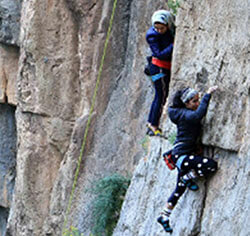 Eedama teamed with passionate climbers to offer a unique combination of activities. Participants will be introduced to climbing (adapted to their level and wish), and in parallel, they will be able to have a yoga session in this beautiful landscape. Participants will then have a combination of games in nature that will allow them to help clean the place.